Wade and John have been repairing garage doors in Orem, Provo, and all of Utah County since 1978. 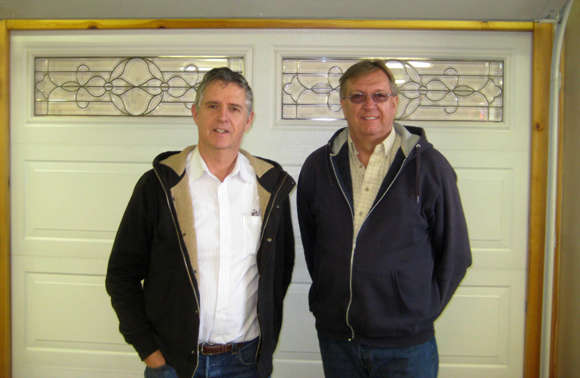 Both grew up in the country and learned at an early age how to repair equipment, so selling or repairing garage doors comes second nature to them both. Over the years they have learned to “do it right the first time” and have thousands of garage doors and garage door openers sold from Lehi to Santaquin to Price Utah. One of our basic policies is to use the best garage doors, garage door openers, and replacement garage door parts available. We are authorized dealers for such national garage door manufacturers as Genie, Wayne Dalton, Liftmaster, and Raynor. We have about 95% of all garage door parts in inventory, from remote controls to rollers and track. You name it and we have it. 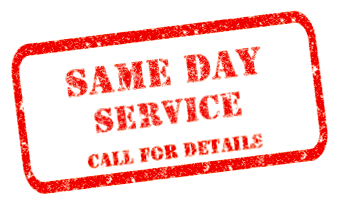 We want to be your one stop garage door company. Drop in on us at our beautiful new building in Orem. Our beautiful new showroom has operating garage doors and door openers. You can see them operate and listen to how quiet they are. If you need a new garage door spring, we can make it up using our state of the art computer program while you wait. We have brochures and color samples for all the major manufacturers. And we have friendly, knowledgeable customer service representatives to help you with all your needs. Give us a try. You’ll like us.